And my pictures are up as well. A Parasite of Mor... ah, I never took the effort to look at the name, as it's my parasite. A parasite of Charybdis. here's the topic on how I created her, though it doesn't give much extra info than what you can see in the eventual pictures. Well, I started my PoM yesterday (stress, what stress?!? Ahhhhggghhh!!!). I also started a W.I.P. thread here. Make all you want, we'll eat more! Mine just needs highlights and then it's done! The competition is looking pretty fierce. I'll have pics of my horrid paintjob and dodgy modelling skills up in a few hours, with luck. I still gotta finish painting mine. Big tourny is over so now I can get back to a normal pace. I have a question. When you say it's due March 31st do you mean I can get it in anytime during the day on March 31st or at midnight March 31st? I'm running a last minute job here and it's an important distinction. I would hate to submit it late without knowing. Mine is finished now, pictures tomorrow. Need entry album now too. Yes, Shoggoth, you'll have until 12:00 a.m. on March 31st to hand it in (Be aware that this is my time, which is UTC -7 hours). If you could, do you think you might be able to get some higher quality photos, as the ones you've supplied are pretty blurry. Also, if anyone has anymore questions, feel free to PM as I haven't been spending alot of time on the fourms lately (too many games/pokemon to play/catch). 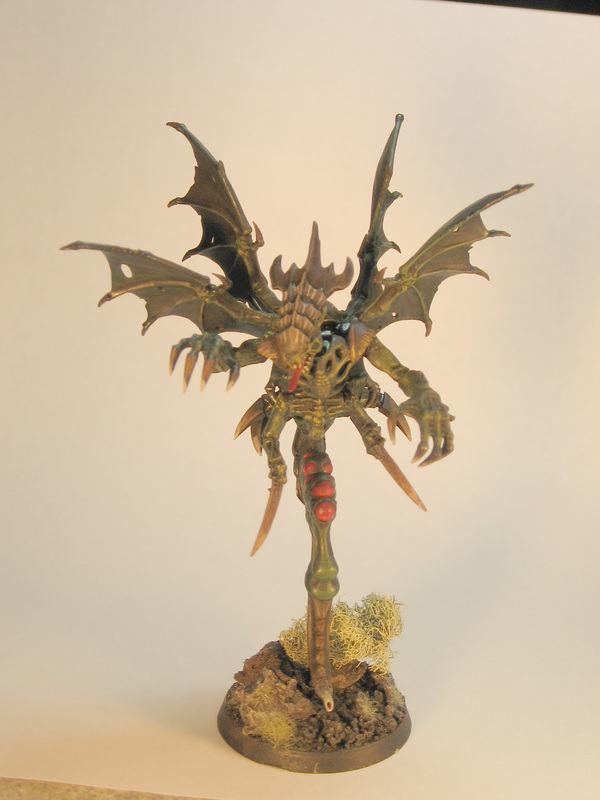 You all have some wonderful Tyranid stuff here. Alright, I had another go with my hunk-o-junk special. i am still not finished. i hope i´ll get him done till closing time. 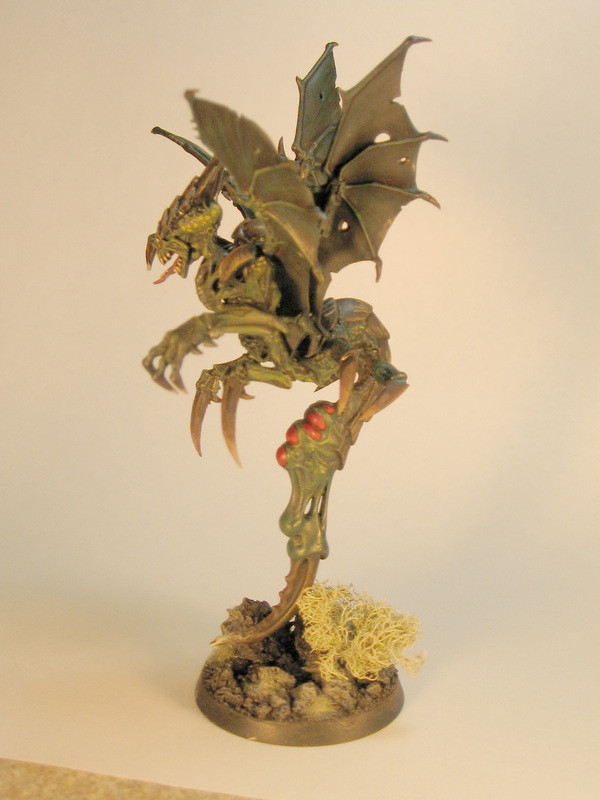 i finished him this lunchbreak, unfortunatley i have to submit my entry without basecoat. there was not enough time to basecoat.... i hate to work on such a thight schedule! so the whole thing looks a bit messy, the only good thing is that you can see the greenstuff work better. but if that s really so good, i am not so sure! 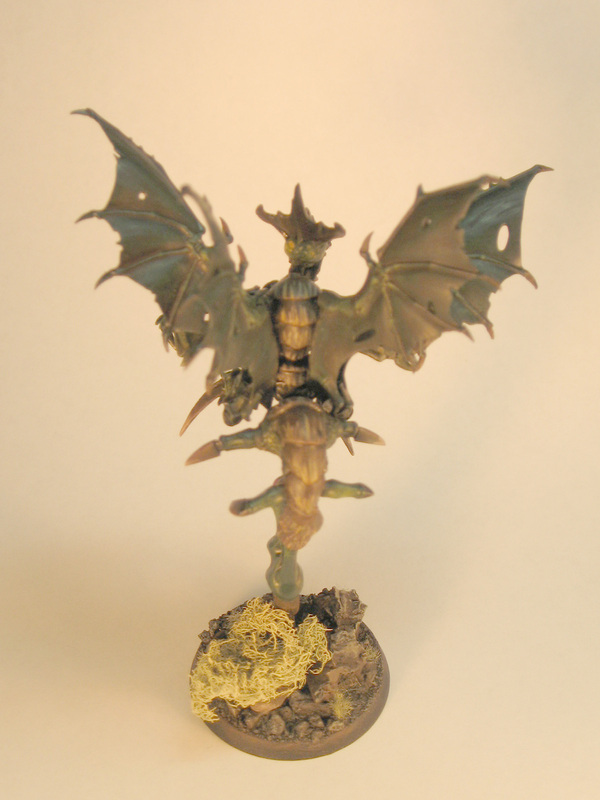 i`ll post some more pics as soon as he is basecoated. 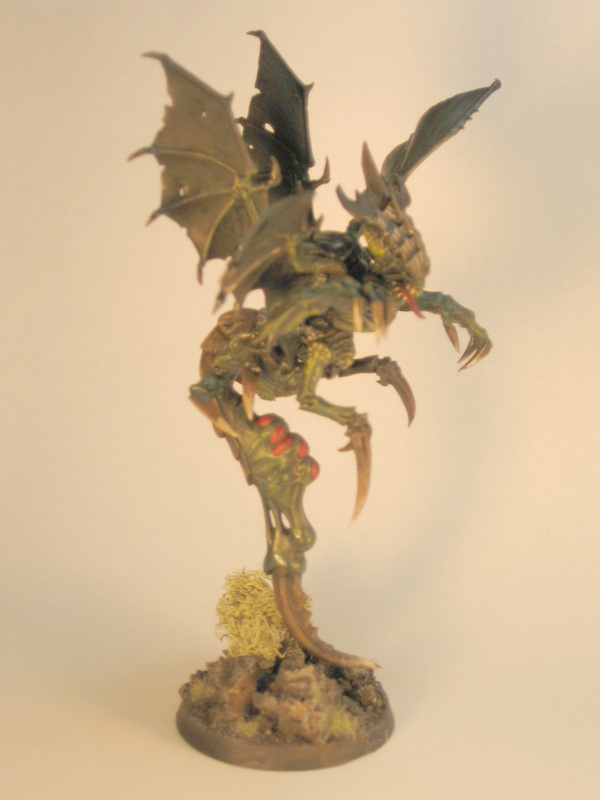 and of course the painted ones as well, but that my take some time.